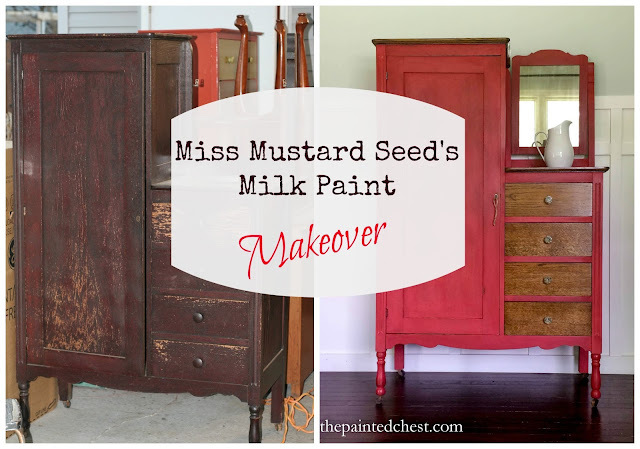 Miss Mustard Seed's Milk Paint is known for its natural ability to chip and give an aged, worn, well-loved feel to a piece. But did you know that sometimes it is actually hard to achieve that look? 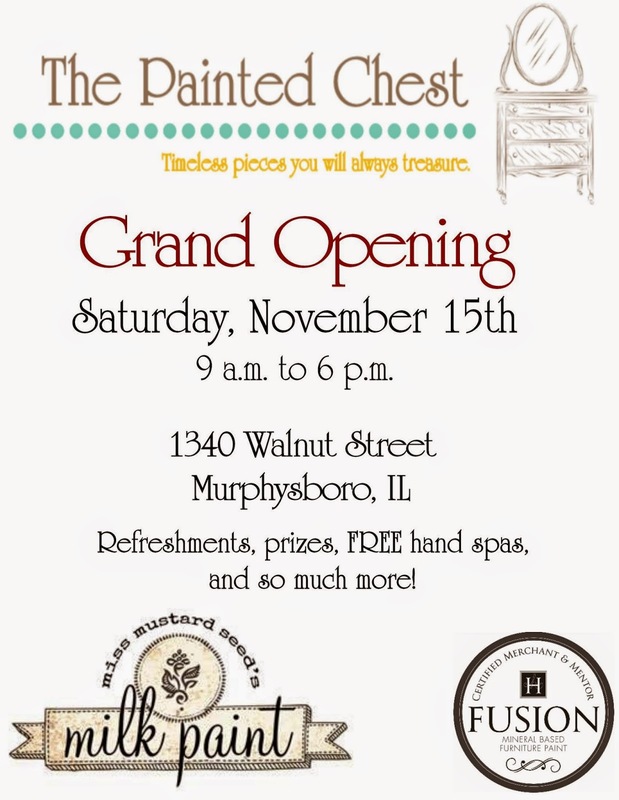 On raw wood, Milk Paint actually absorbs into the wood like a stain instead of sitting on top like typical paint. 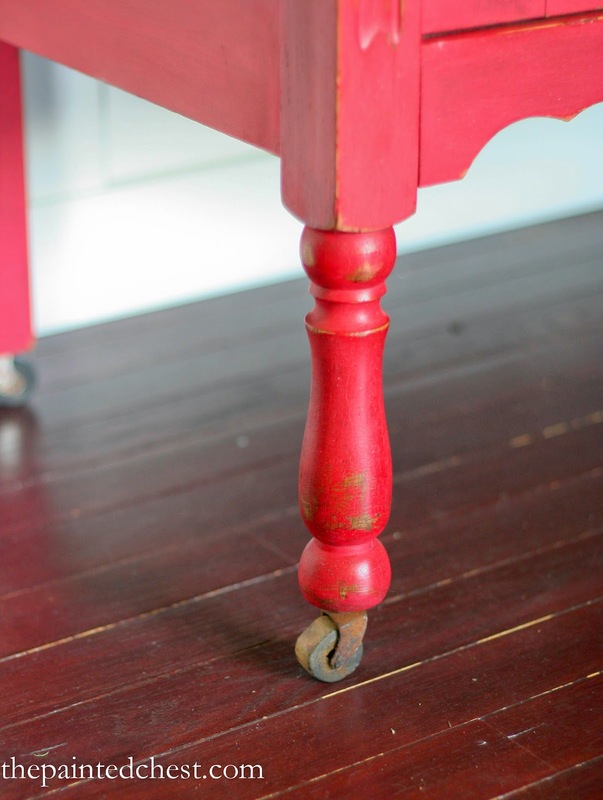 If you want that chippy look on raw wood, you will need to use a resist like Hemp Oil. That's right, Hemp Oil is not only a finishing top coat on your painted piece, it can be used to create that chippy look that we all love. 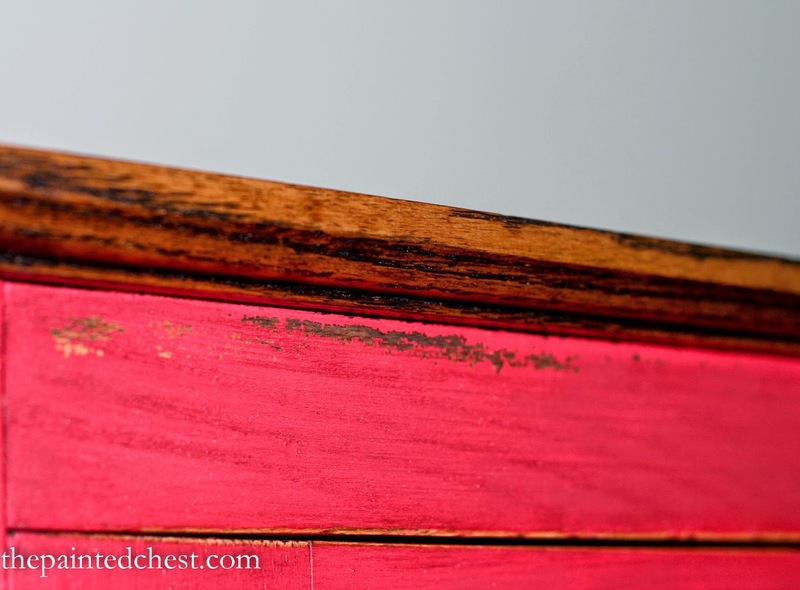 Enter this 1912 Lane cedar chest. It was still as sturdy as the day it was made but the finish on top was a little too loved over the years. It had water rings from cups sitting on it, chipping and peeling veneer and even a few gouges to the top. Cigarette burns too! 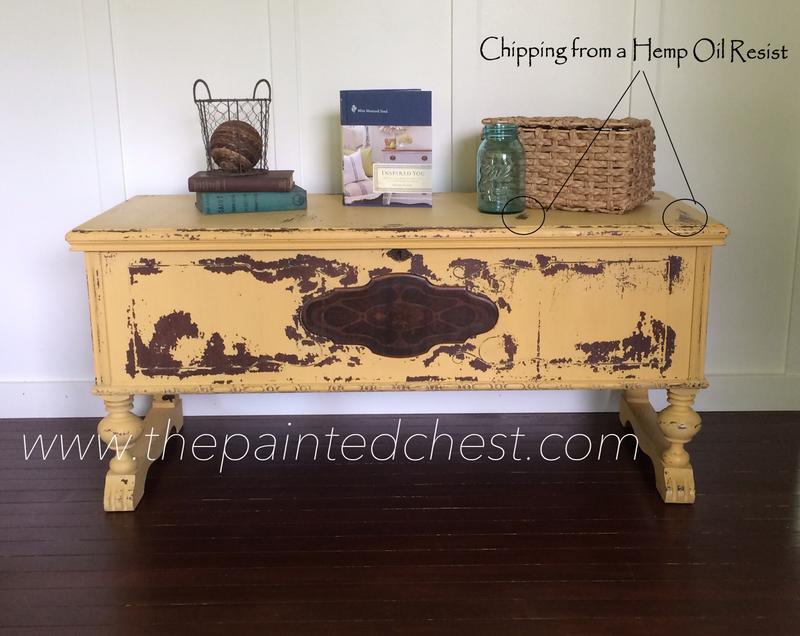 My client wanted this piece painted in Mustard Seed Yellow and really wanted to see a lot of chipping on this piece. However, the veneer on the top needed to be removed and the deep gouges needed to be filled. That left me with raw wood on the top. 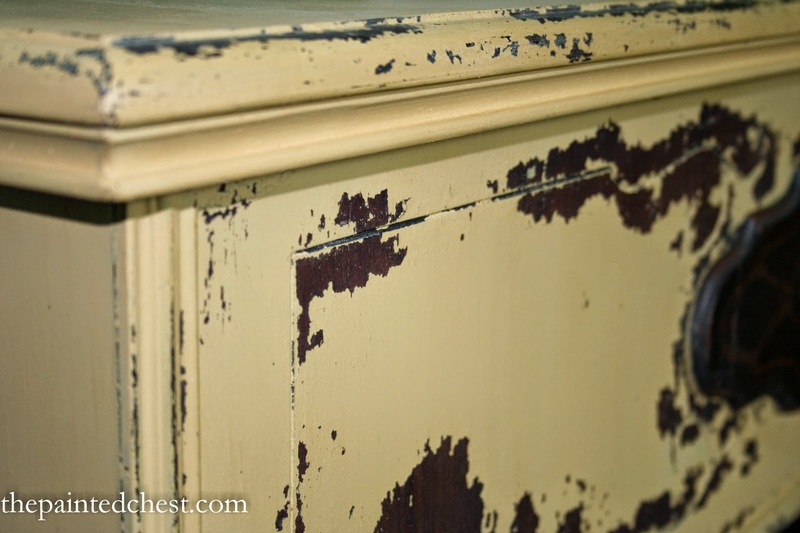 Raw wood top with wood filler applied to the damaged spots. 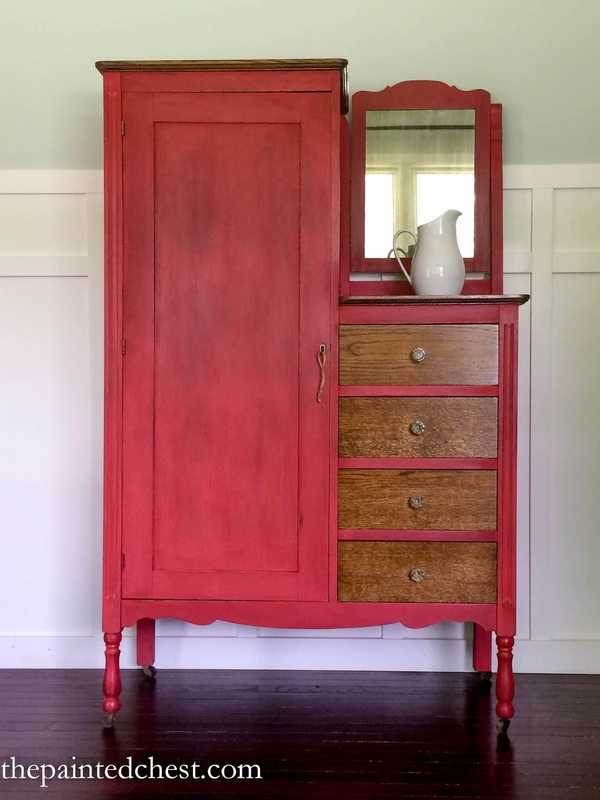 After giving it a coat of stain, I sporadically applied Hemp Oil to the top and immediately started painting. You do not want to give the Hemp Oil a chance to soak in. You also do not want to over-work your brush or you will end up with Hemp Oiled stripes on your piece and the chipping will not look natural. 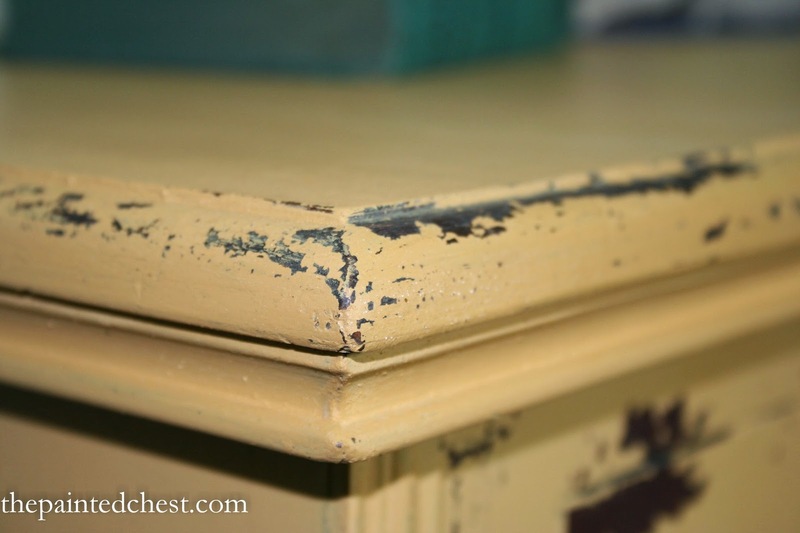 The front of the cedar chest actually still had some old varnish on it. I lightly scuffed it will a medium grit sanding sponge, wiped it down and started painting. Much to my surprise and excitement, I received all kinds of chipping! I was actually a little nervous that it would be too much chipping for my client, but she loved it. 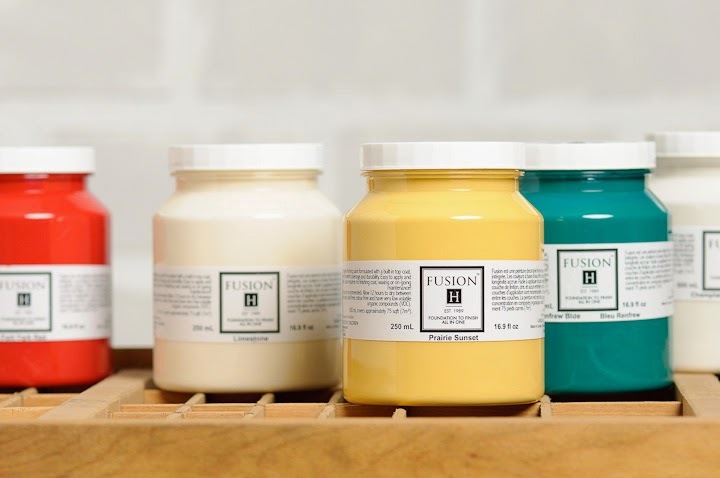 This is what Milk Paint looks like as it dries and begins to chip. 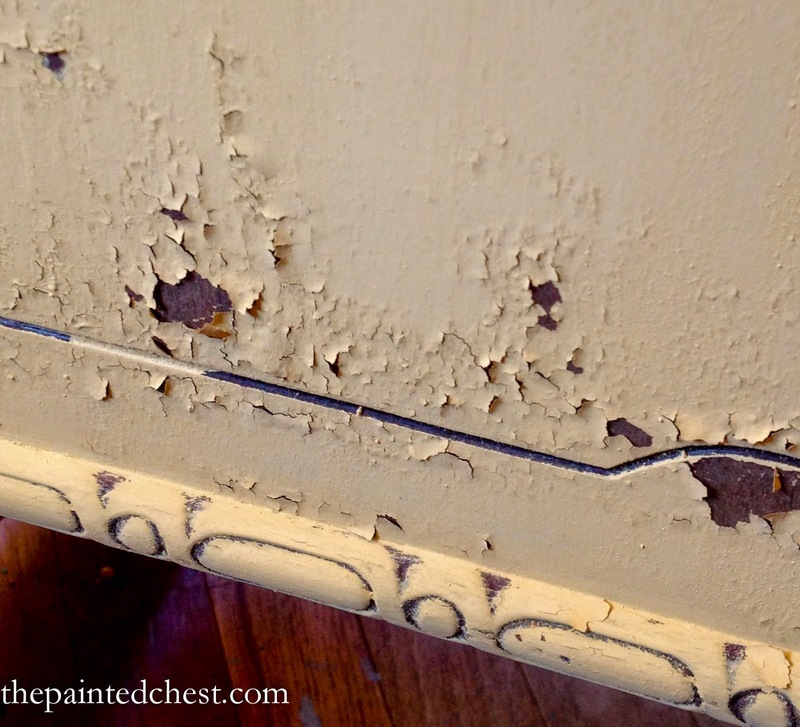 You can use a fine grit sanding sponge or a putty knife to gently remove the flaking paint. I finished the piece with Miss Mustard Seed's Furniture Wax and lightly buffed it. I really love how this piece turned out. Mustard Seed Yellow is such a fun color without being too bold. It's vintage but modern. I think it suits this piece well. Do you like the chippy look? 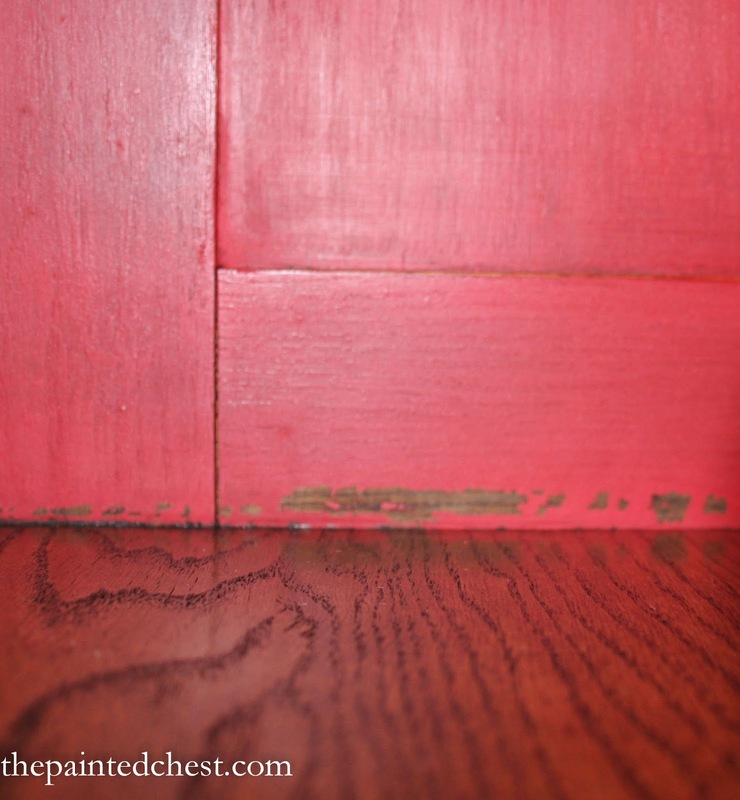 Do you want to learn how to achieve the chippy look on raw wood? 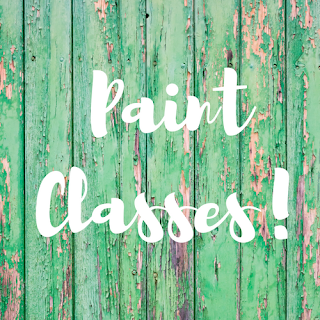 Sign up for my next Milk Paint 101 workshop HERE and I will teach you how!